The Raeborne Glass Accent Lamp features a glass cylinder base with an iridescent metallic rust bronze finish. 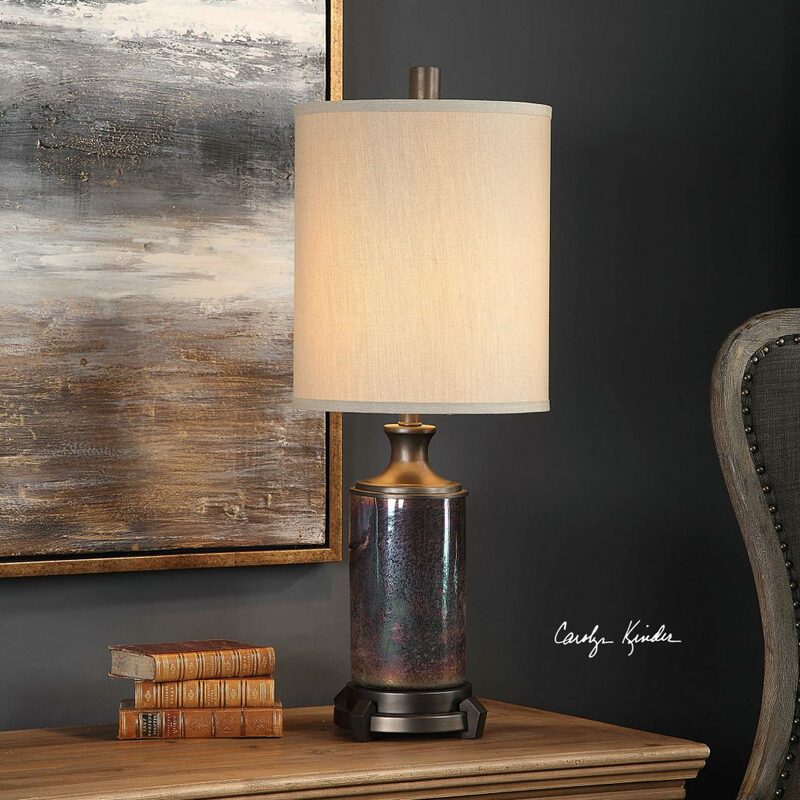 Designed by Carolyn Kinder International, this unique lamp has an acid-etched texture, accented with oxidized dark bronze plated details. The round hardback drum shade is a light beige linen fabric.